Mickey and the Beanstalk is a short film that really stands the test of time. It was released in 1947 as a part of the feature Fun and Fancy Free. The film's "villain", Willie the giant, was principally animated by John Lounsbery with help from Hugh Fraser. 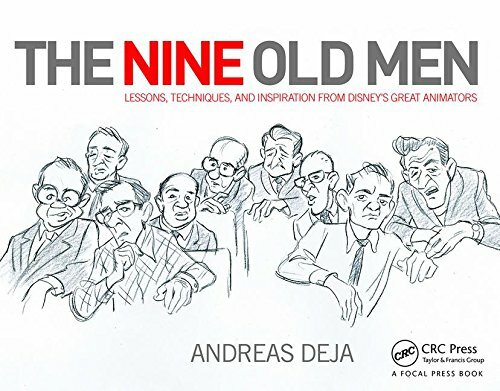 Some time ago, before a number a Disney animation books were published, and before any access to animation drafts (which list animator's names along with their scenes), many people believed that Willie was a Ward Kimball creation. It was an educated guess, since the animation is fluid, broad at times and inventive (Willie's anti-climactic sneeze). All characteristics of vintage Kimball animation. But it is Lounsbery who wound up borrowing from Bill Tytla's giant in The Brave Little Taylor, the classic short from 1938. Willie is a simplified version of Tytla's massive but intricately drawn villain. a giant who is funny, not too smart but utterly likable in the end. 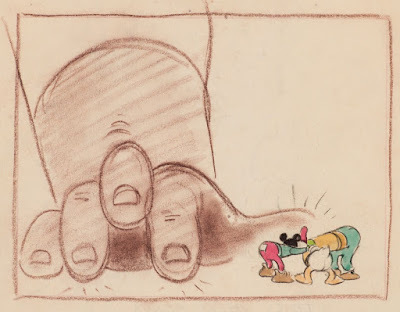 I love these story sketches, perhaps by J.P. Miller. A few stills from Mickey and the Beanstalk, featuring Mickey and Willie. Thank you once again for a very interesting article with great pics! I can see why people would think that Willie was animated by Tytla. 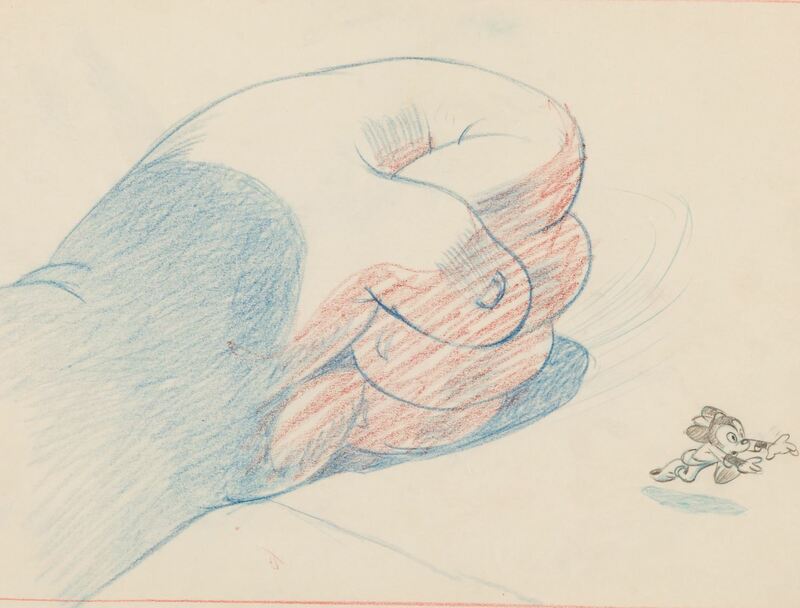 His giant in "The Brave Little Tailor" is great piece of character animation. He had quite a bit of practice animating giants at TerryToons, like the giant in "Beanstalk Jack". Interestingly, the giant in the Looney Tunes "Jack-Wabbit and the Beanstalk" also bears similarities to Tytla's giant. 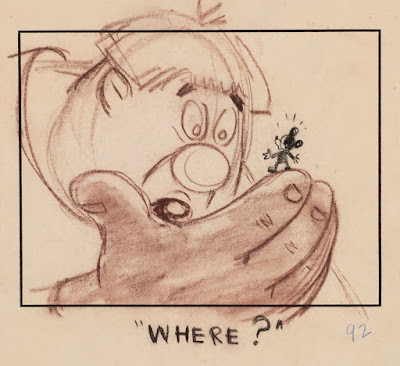 Glen Keane did pretty well with his version of the same character, too. Wonderful designs and colors. I would love to see something like this being done today, I do think people would enjoy the same because it is beautiful. 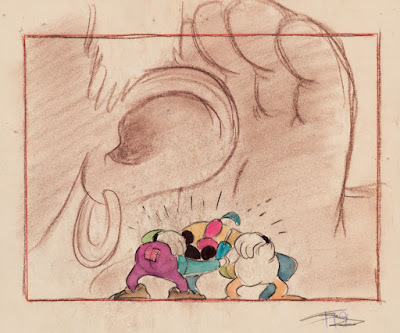 After reading the draft I'm also surprised Ward Kimball didn't animate any Willie scenes, and I was also surprised Hugh Fraser handled him in the chase scene as he rarely did action scenes, I thought Wolfgang Reitherman would've handled him there. Does the composition of the middle still look a little odd to you? 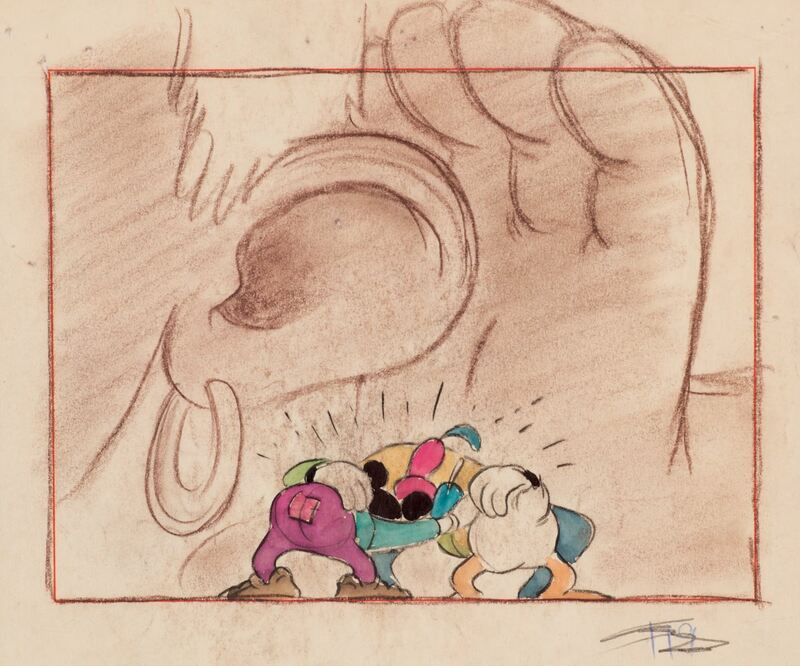 It should, because in the actual film Willie is on the top level, his nose overlaying Mickey's nose and chest. 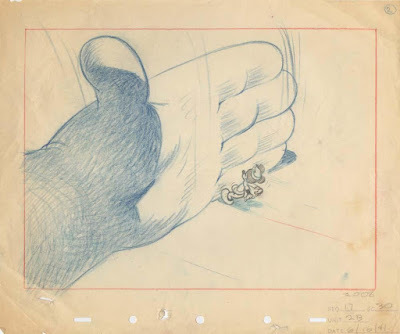 For the sake of the still [publicity stills were shot on a stills camera for better quality -- often, for the features, from specially retraced cels] Mickey has been placed on top and frankly, it looks wrong! Strangely, such errors seem to crop up quite often in stills, especially for shorts. I just Love that chase scene near the end. The scale of the giant is so well done, especially the long fall down after he is tripped. You feel all of that weight coming down. Green Gravy all around!Thanks for sharing.